The pre-order sales of the iPads have been huge…120,000 units were snatched up in the first 2 hours after it went on sale. It appears that the first production run of iPads have all been spoken for. New orders will now have a delivery date of April 12th. For those who did not pre-order but still want one on April 3rd, the Apple Store and Best Buy will have limited number of iPads available for walk-in buyers. You can be sure there will be fanboys and girls camping out on the night of April 2nd. 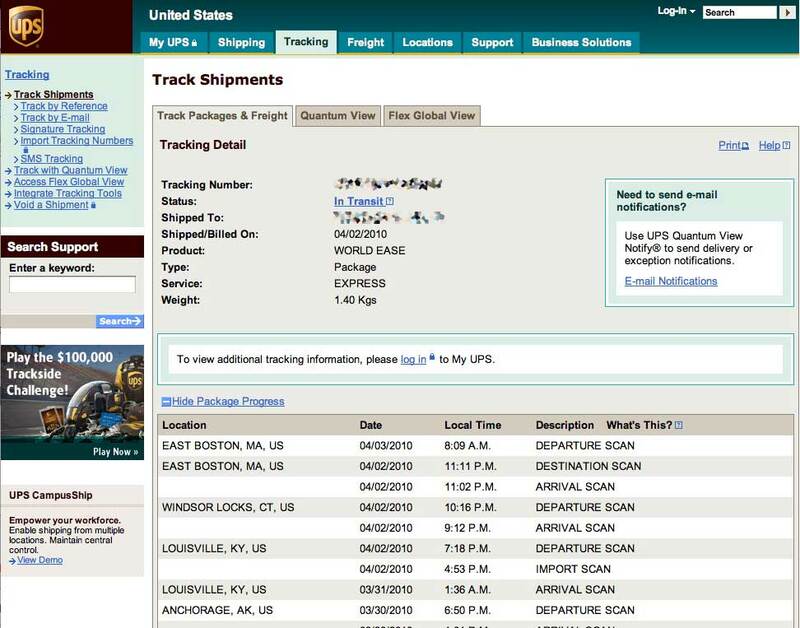 For those waiting for their UPS shipment, April 2nd will feel like Christmas eve. Of course, we’ll record the iPad “unboxing” event on April 3rd and will post pics as soon as possible. 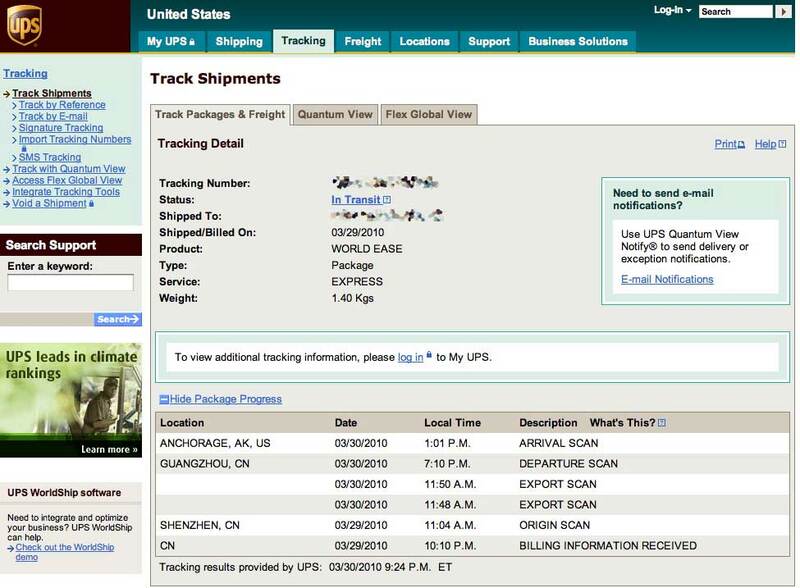 The iPad shipment received its “Export Scan” and cleared Guangzhou at 11:50AM. 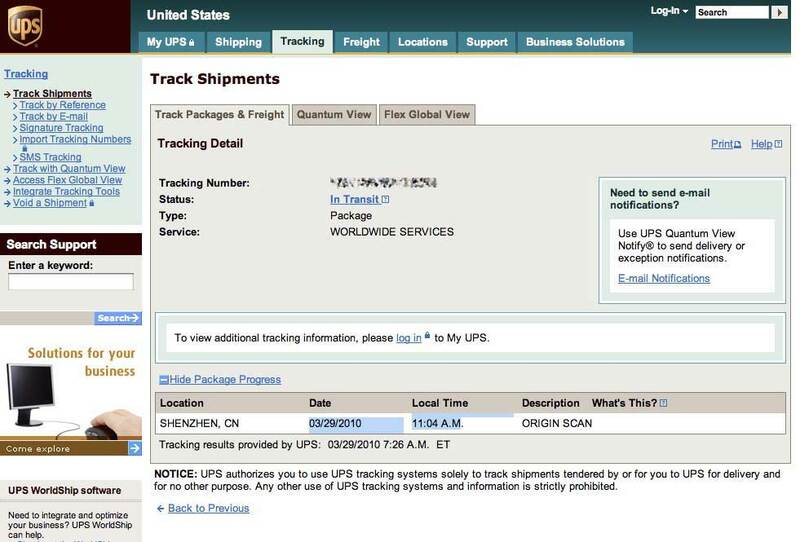 It weighs 1.4Kg and is being shipped via Express Service. 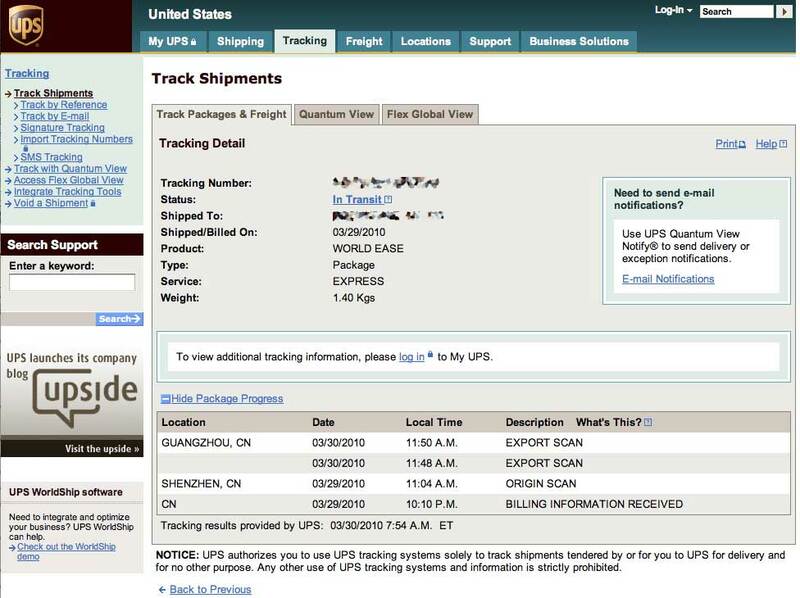 Apparently our iPad has arrived in the US and is now somewhere in Anchorage. This is better than NORAD’s SantaTracker! 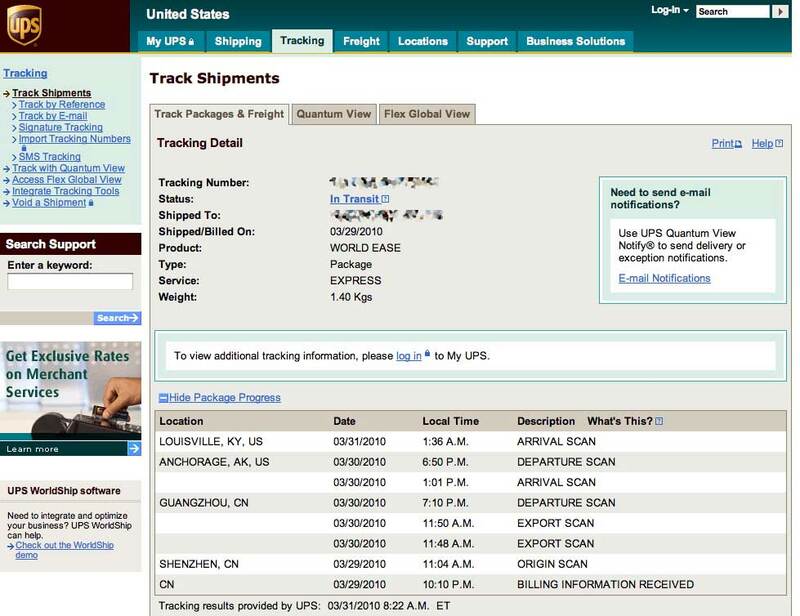 The iPad has made its way to Louisville KY. It checked in with the UPS folks at 1:36AM, ate breakfast, pee’d, and is now back on the road. BTW, is there an app for this? 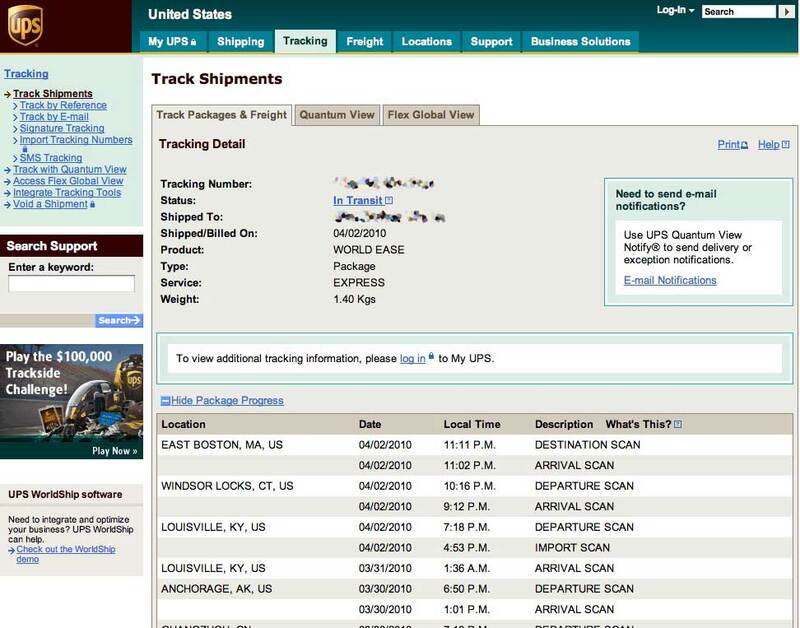 The iPad has left the East Boston warehouse and is now on its way. We’ll have the full unboxing event once we have it in house. If it doesn’t get here soon, the interns’ heads may explode. They may anyway.